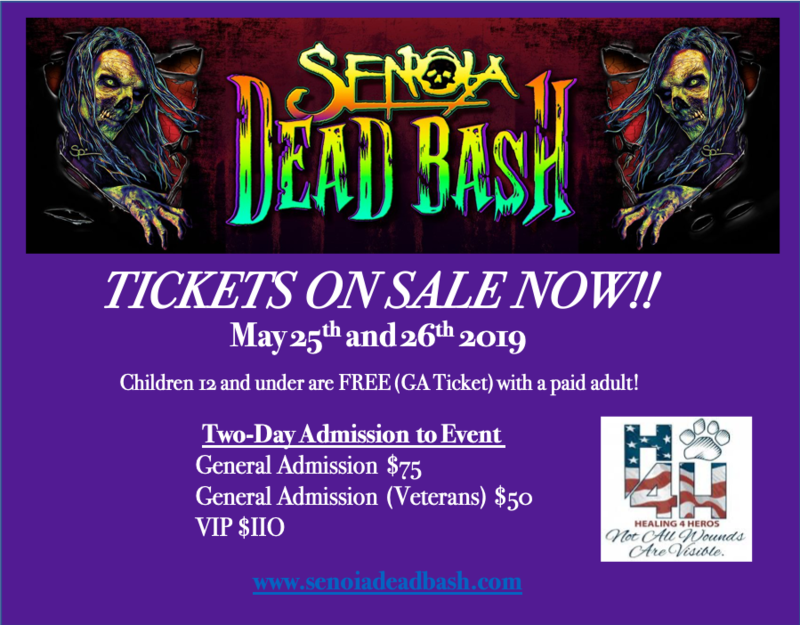 The 2nd annual Senoia Dead Bash will take place over Memorial Day weekend in the name of scares, but more importantly, a good cause. The two charities being supported are Healing4Heroes and Animal Hope & Wellness Foundation. Continue reading for more details. Also: Death's Parade Film Fest's first wave of screenings, a first look at The Horrific Evil Monsters and House of Lexi. 2nd Annual Senoia Dead Bash Charity Event Details: Press Release: "Immerse yourself in the apocalypse where over 100 Zombies once roamed! The Senoia Dead Bash will be holding it’s 2nd Annual Charity Bash, Memorial Day Weekend at The Esco Feed Mill location, 16 Line Creek Rd, Senoia, GA on Saturday, May 25th and Sunday, May 26th, to support two amazing charities, Healing4Heroes, and Animal Hope & Wellness Foundation. Enjoy vendors, live music, food, craft beer/wine tasting, celebrities, and so much more! 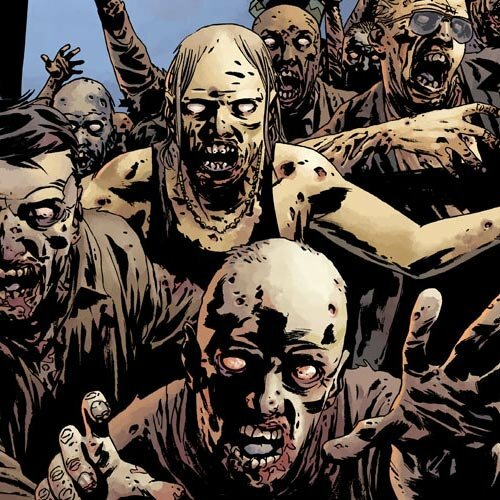 Many celebrities from the hit tv zombie show, The Walking Dead, will be in attendance for meet and greets, autographs, and selfies! Actors will be doing live interviews on stage!! Some Senoia Dead Bash alumni will be back again this year such as Seth Gilliam, an American actor known for The Wire as Ellis Carver, The Walking Dead as Father Gabriel Stokes and Teen Wolf as Dr. Alan Deaton. Also back for the second year is Xander Berkeley, known for many blockbuster roles such as Agent Gibbs in Air force One, Todd Voight in Terminator 2: Judgement Day, Gregory on The Walking Dead and George Mason in the hit tv series, 24. New to our Bash this year is Lauren Ridloff. Lauren is a former teacher and was Miss Deaf America. She was Tony-nominated for her Broadway performance as Sarah Norman in Children of a Lesser God and currently portrays Connie on TWD and has quickly become a fan favorite! Along with TWD celebrities, the Dead Bash will have many other activities to enjoy throughout the day including a horse and dog stunt performance by the famous, Tommie Turvey. And you don’t want to miss Saturday evening at the Senoia Dead Bash! Celebrities will be auctioned off onstage in the “DINE WITH A CELEBRITY CHARITY AUCTION”. 100% of the proceeds will be donated to the charities!! What better way to support our Veterans and fur babies this Memorial Day Weekend! All Veterans have discounted pricing and children 12 and under get in free with an adult ticket holder. If you would like more information about this event and to purchase tickets, please go to our website, www.SenoiaDeadBash.com or email us at summerdeadbash@yahoo.com. 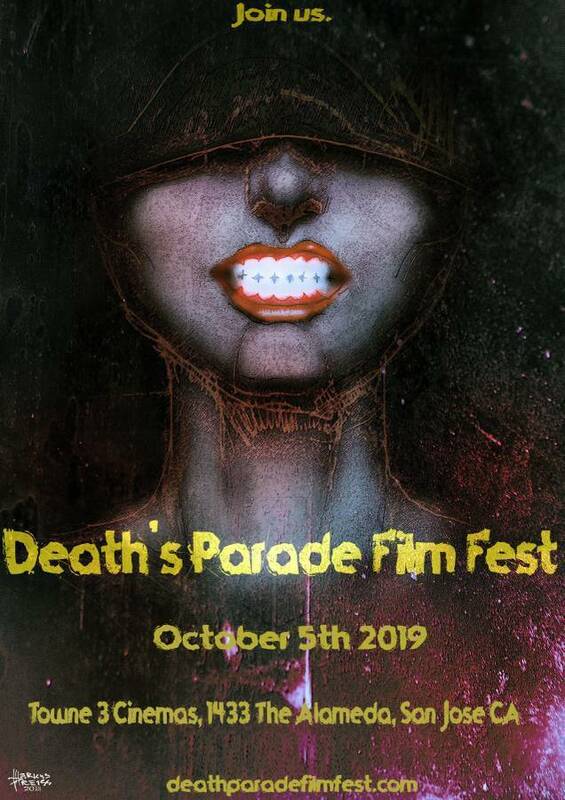 Death's Parade Film Fest Releases First Wave of Screenings: Press Release: "The Death’s Parade Film Festival (DPFF) has revealed its First Wave of film selections for its inaugural run on October 5th, 2019. 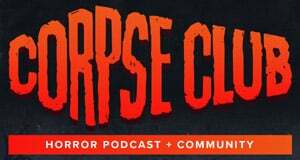 The festival will feature short films from around the world with an emphasis on paranormal, psychological and body horror, found footage, experimental, killers, monsters, zombies, gore, and dark comedy. The First Wave exemplifies the spooky quality attendees can expect from the program in October. The Towne 3 Cinemas, nestled in the heart of Silicon Valley, will play host to a list of veteran and up-and-coming local and international horror filmmakers, eager to share their grisly works of art with a fresh and frothing audience. The festival seeks to spotlight innovative storytelling with an eye on traditional means produced in a high-quality fashion. Included in the first announcement is The Quiet Room Bears, written and directed by Lee Howard, the film offers us a glimpse into a sinister landscape packed with horribly disfigured teddy bears and a gruesome, matriarchal entity that racks up the body count. In the film Water Horse, done by veteran filmmaker couple Sarah Wisner and Sean Temple, the short weaves a chilling, fever dream tale involving the sudden appearance of an abandoned boat which turns the last day of summer into a mother’s nightmare. 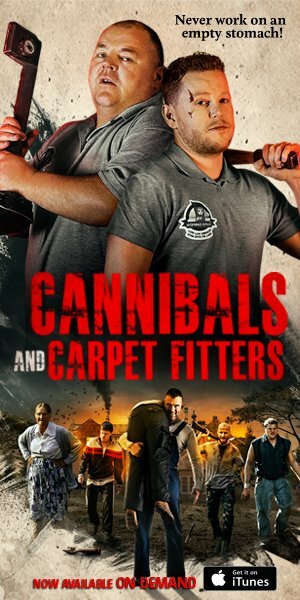 Filmmakers from both The Quiet Room Bears and Water Horse will be in attendance to present their respective films and participate in a Q&A session afterward. DPFF is also proud to announce a special screening of 1987’s The Lost Boys, a Bay Area seminal favorite starring Kiefer Sutherland, Jason Patric, Dianne West, and Corey Feldman. Local film enthusiasts will know how The Lost Boys not only put Santa Cruz on the map but how it changed the way vampires are portrayed, thus paving the way for franchises like Buffy the Vampire Slayer and the Twilight Saga." First Look at "The Zombie" in The Horrific Evil Monsters: Press Release: "388 Studios and Macrocosm Productions releases exclusive images featuring actress Kaylee Williams as ‘the zombie’ from The Horrific Evil Monsters, an apocalyptic superhero style horror film featuring various horror icons such as a zombie, an alien, a werewolf, a grim reaper, and an unstoppable masked killer. Commissioned by a secret government agency code name T.H.E.M. 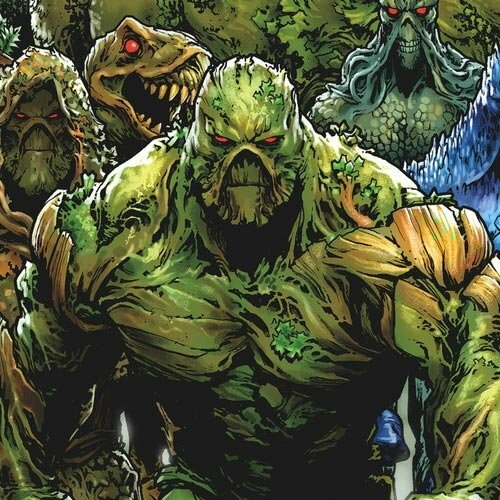 (The Horrific Evil Monsters) and lead by a mysterious man named ‘Mick’ as he recruits some of the most hazardous horror and science fiction characters of all time to take on a biblical unrelenting force that brings the apocalypse with them. T.H.E.M.’s all start cast is accentuated by practical special effects, unique costuming and ingenuity designed to awe its audience. 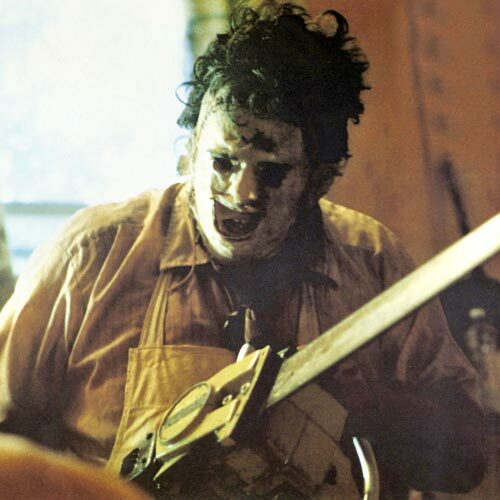 Phill Beith serves as special effects master, taught by the legendary Tom Savini School of Arts, who has trained the likes of The Walking Dead’s Greg Nicotero, and many others. The gags are well designed and executed without fail. His use of prosthetics and level of makeup effects work beautifully on screen and mixed with smart editing, makes for great movie magic! 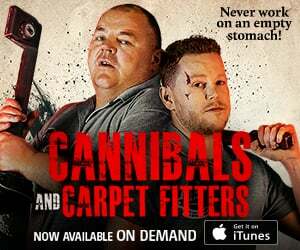 Keep your eyes peeled for surprises, shocks, and splatters over the coming months as principal photography wraps at the end of June! House of Lexi Details: "House of Lexi is a psychological short horror film featuring English horror actress Emma Dark. It follows the story of Lexi Stone who supposedly lost her mother in a car crash and also lost her baby sister at birth. Lexi imagines her sister growing up ― and wants to be there for her ― but the emotional bond turns and starts to haunt [her] and makes her question whats happening. House of Lexi will be in festivals over the summer.